Abo Subdivision is situated to the north of both Dibombari and the Wouri estuary in the Littoral Province. Abo is bordered by the Mbo and Basaa language communities to the north, by Balong to the west, and by Duala to the south and east. French is the language of education, and the majority of Abo people speak it. The Duala language is also commonly used as a language of wider communication. Bible translation need for Abo subdivision depends upon how bilingual the people are in the Duala language. Many people say they are bilingual in Duala and French. 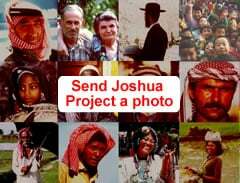 They are favorable toward the idea of Bible translation, although mother-tongue Scriptures may not be a felt need because Abo Christians are generally satisfied with using the Duala and French Scriptures. Additional survey (RTT method) would reveal what percentage of the Abo population understands Duala and to what degree; this would clarify the need for Bible translation. The Abo people place high value on literacy. We estimate that at least 50% of the people are literate in a second language (French or Duala). The Abo (Bankon) language is as yet unwritten, but a newly formed Bankon Language Committee is working to develop an alphabet. The Abo people enjoy relatively good socioeconomic conditions. A good number of Abo individuals have pursued higher education and moved to cities such as Yaounde, Douala, and various places in Europe and North America. The Abo people we met in the villages were well-dressed and appeared wellnourished. Many people live in solidly built Western-style houses. View Abo in all countries. 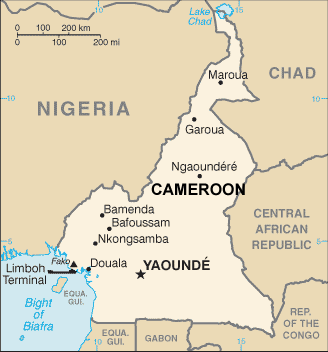 Location in Country: Littoral region: Moungo division, north of Douala and west of Wouri river, and Dibombari.